Massage clinic, with locations nationwide, offers optional memberships to save on all types of massage therapies, gift certificates and products. If you need a stress-relieving, professional and therapeutic massage but don't want to pay spa prices, Massage Envy is just what the therapist ordered! Why pay $95 or more for the same professional massage when Massage Envy members pay only $39 (reg $78) for a one-hour massage session? We utilize a membership based approach that brings massage therapy out of the elite and expensive circle and makes it available to everyone. We believe everyone should be able to take advantage of the wonderful therapeutic and stress-relieving benefits of massage therapy. We'll customize your massage session in order to focus our therapies on the areas and needs you feel warrant the most attention. Come visit our Frisco Stonebriar location at Preston & Warren Pkwy, next to to 24 Hr Fitness. 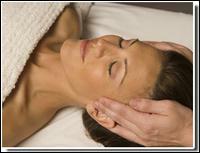 Don?t forget Aromatherapy & Deep Heat Muscle Relief Therapy! Relax Well!